Croatia offers spectacular moderate-to-difficult trail runs with unmatched views and challenging terrain in the midst of paradise. Karst stones, olive groves and the glittering Adriatic Sea as the backdrop, Croatia makes it easy to find epic and inspiring trails to run. The challenge is choosing one. The trails in this Mediterranean destination offer much more than exercise. You’ll discover each path has its own personality, and each kilometer you cover provides a unique reward: sweeping views, historic architecture, sandy beaches, lush forests, crystal-clear bays and even quirky bars. 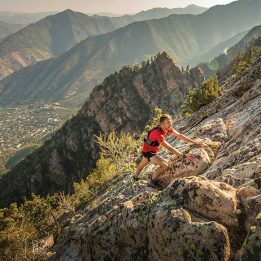 Here are five of the most breathtaking trail runs to try. If you’re in Zagreb, Mount Medvednica is a can’t-miss. Literally. The emerald slopes of this mountain are visible from almost anywhere in the city. There are numerous trails to choose from in the 179 square kilometers Medvednica nature park covers, but none is quite like the four-kilometer Lagvić-to-Medvedgrad route. Inhale clean mountain air as you climb toward Medvedgrad Castle. Steep uphill sections offer a fair challenge for your calves, while dense forests provide respite from the sun. 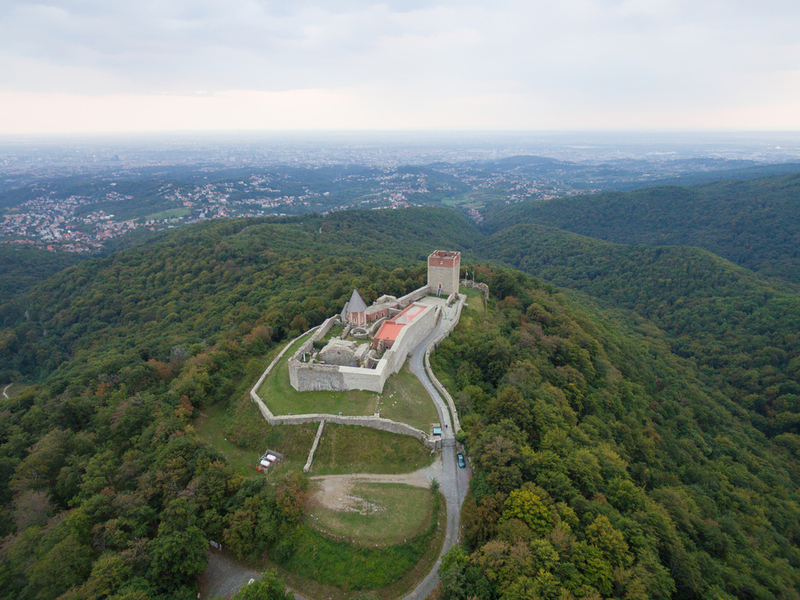 When you reach the castle, enjoy panoramic views before continuing on to the Sljeme summit. If you’re craving a home-cooked Croatian meal, music and mingling, be sure to stop by Grafičar Mountain Hut, where you can sample some strudel and sing along with the locals. What do you get when you weave together a series of forest trails and unmarked shortcuts between them, then dial up the difficulty with added elements of unpredictable winter weather, darkness and mud? Blatersa: an impressive, unsupported, 48.5-kilometer west-to-east run on the Mount Medvednica Traversa Trail—that begins at midnight in the dead of winter. 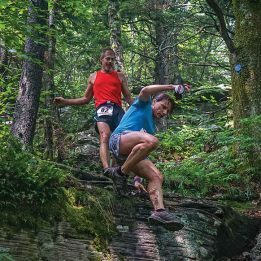 What started as an underground event a decade ago has evolved into an annual gathering that attracts local and international competitors looking for a truly epic adventure. You can try the trail in the light of day, but a guide (or at the very least, a reliable map) are still highly recommended. As this route ties existing trails together, there is not a designated signposted trail to follow, and getting lost is a very real possibility. 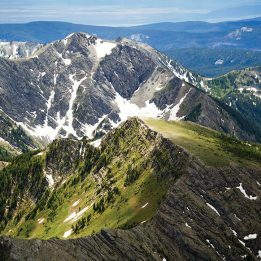 Of course, if you’re fit and properly prepared, the fresh forest air, views from the summit and the satisfaction of completing this challenging trail run make it worth the extra effort. Be sure to get an early start and bring along some essentials in your pack—even the speediest runners that successfully stay on track require about five hours to reach the finish line. The sights of the shimmering waters of the Adriatic Sea that caress the Istrian Peninsula are enough to motivate even the most casual trail runners. Add to that the possibility to spot dolphins, catch your breath at one of the many serene beaches and kick back at a quirky bar tucked into the trees, and you’ve got the ingredients for one of the most memorable and picturesque trail run adventures. 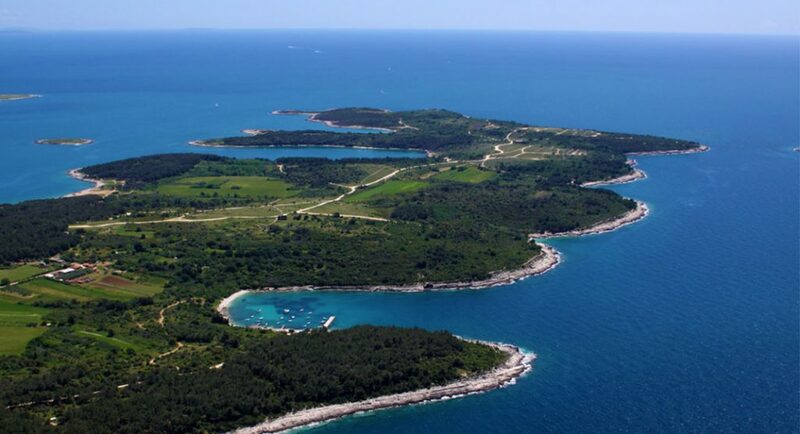 Cape Kamenjak, located at the tip of the Istrian Peninsula, is truly a piece of paradise. Take this 14-kilometer trail around the cape and discover the diverse coastline made up of 30 bays—some lined by stretches of sand, some covered in powder-colored pebbles and others contoured by towering cliffs. Adrenaline junkies can get their fix at Mala Kolombarica Beach, Cape Kamenjak’s best cliff-jumping spot, before jogging to the final stop: Safari Bar. This rustic beach bar made of living plants, simple logs and stacks of stones has become a destination in its own right. After your 14-kilometer run in the sun, you’ll be ready to tip back a cool beverage in this chilled-out nature space. Although Dubrovnik isn’t typically a trail runner’s first choice, there are a few gems in the area to enjoy. The 2.1-kilometer Stražišće Vertical (also called the Ronald Brown Trail, in honor of the American delegation led by Brown that died in a plane crash there in 1996) in Velji Do village is a great option for those who are short on time but love a steep incline. This trail is circular, so if you’re up for the more challenging climb, be sure to start from the north side. When you come upon a small metal pole along the path, turn toward the summit and follow the red and white trail markers to the top. The rocky terrain will have you working hard to find your footing, but the sweeping views are spectacular, especially during sunset. If you do ascend at the end of the day, keep an eye on the time; the descent is quite precarious after dark. The largest island of the central Dalmatian group of islands in the Adriatic, Brač’ boasts both striking landscapes and rich heritage. There are numerous trails around the island to enjoy, but none that captures the history and culture quite like the Sutivan Historic Trail. To start this 22- kilometer adventure, follow the gravel road from Sutivan to the Mirca and then an asphalt road to Gornja Mirca. Climbing the steep gravel path through olive groves, pass by the historic church of Our Lady of Stomorica, and descend toward the canyon and the curious Franz Joseph “Bridge to Nowhere.” Unlike this directionless bridge without a drop of water beneath it, you are indeed headed somewhere. Continue on to Ložišća where you can opt to take a break, grab a bite and admire the historic Mediterranean architecture, stone island-style houses and the iconic bell tower of the St. John and Paul Church. When you’ve had your fill of Ložišća, set out on the final leg of the trail toward the sea. The path leads past the beautiful bay of Bobovišča before climbing back up the gravel roads to Sutivan. —Sunny Fitzgerald is a freelance writer for kimkim.com and sustainable travel specialist. Her works appears in National Geographic, Lonely Planet, BBC Travel, Mic and more. The picture in the newsletter is an island beach called Brac’. Gotta visit there. If you have a chance go south to Montenegro. 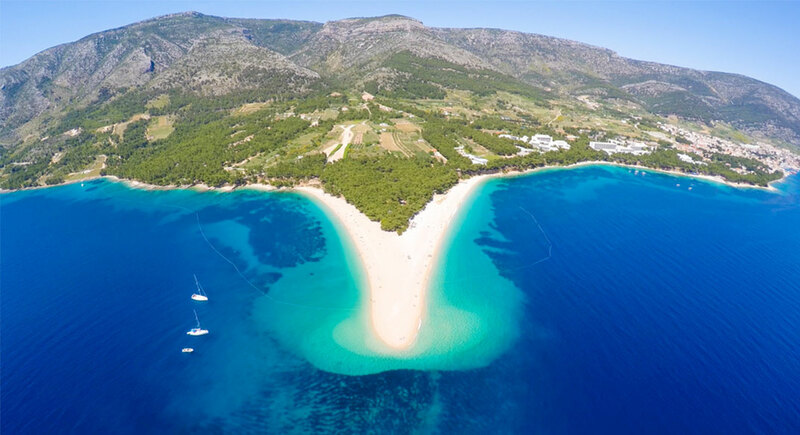 Well, the beach is called Zlatni Rat, but it is on Brać, an island you could spend a week on running or biking and visiting great villages. But unless you go in winter, you won’t find that beach with only three yachts! Hi. Great to see Croatia is promoted like this! We invite all interested runners to visit our web (www.TrailRunningCroatia.org) and search for more recommendations. You can contact us on e-mail or through social media.